Unlike meat-based food, there is no doubt that a plant-based diet is good for the planet, but can a vegetarian diet offer a nutritionally adequate diet and additional health benefits? The Academy of Nutrition and Dietetics, in their new update, claim that “appropriately planned” vegetarian and vegan diets are suitable for everybody. These diets are beneficial in lowering the risk of several health conditions such as abdominal obesity, blood pressure, heart disease, type 2 diabetes and cancer. The authors say that the odds of developing type 2 diabetes is lowered by 62% in vegans and for lacto-ovo-vegetarians is reduced by 38% compared with non-vegetarians. Plant-based diets compared to non-vegetarian diets can cut the risk of prostate cancer by 35% and reduce the incidence of overall cancer by 18%. The Academy review report concludes that vegetarians have a 32% lower chance of being hospitalized or dying from heart disease than non-vegetarians. Plant-based diets cause much less damage to the environment than diets rich in animal products, which tend to use more natural resources like water, land, fuel and energy. According to a U.S. poll in 2016 about 3.3% of American adults are vegetarian or vegan (never eat fish, meat or poultry). Vegetarian and vegan diets are normally high in fruits, vegetables, legumes, nuts and seeds, whole grains and low in saturated fat. Such diets can decrease inflammation, bad cholesterol, blood sugar levels and contribute to a lower risk of chronic diseases. Vegetarian children and teens as well as adults are less likely to be overweight or obese than non-vegetarians. “Other benefits of a vegetarian diet in childhood and adolescence include greater consumption of fruits and vegetables, fewer sweets and salty snacks, and lower intakes of total and saturated fat. Though a well-planned vegetarian or vegan diet is important, some essential nutrients, such as vitamin B12, are only found in animal-derived foods including cheese, eggs, milk and yogurt. Therefore vegans need to be cautious and obtain this from reliable sources. One option is to take sublingual methylcobalamin supplementation since it is an active form of vitamin B12 and it is comparable to vitamin B12 in the diet. The other problem is obtaining iodine, therefore vegans need to include sea vegetables or iodized salt in their diet. More examples are the levels of DHA and EPA which are mainly from fish oils, therefore they are low in a plant-based diet. Some foods such as flaxseed or walnuts contain alpha-linolenic acid (ALA) which the body can convert to EPA and DHA but 5-10% of ALA is converted to EPA and 3-5% to DHA. Plant-based diet have the least negative effect on the environment compared to diets rich in animal products. 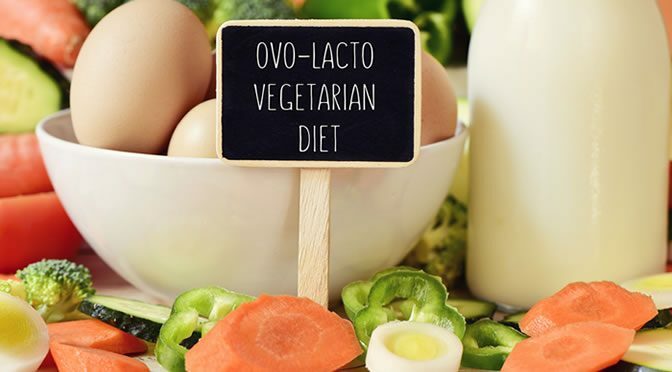 Perhaphs the best combination is a lacto-ovo with pesco-vegetarian diet, which includes nuts, dairy, eggs and fish. Vegan diets can lack many nutrients and are hard to follow. The study was published in the Journal of the Academy of Nutrition and Dietetics (Melina et al., 2016). Wheat-Free Diets: Are They Worth It?